Prescribed burning is a common forest management tool, with fuel reduction, ecosystem restoration, and wildlife habitat improvement often cited as primary goals. Mechanical fuel reduction by cutting shrubs and small trees is sometimes used instead to reduce risks to property, safety, and air quality. Southern Research Station scientists studied how breeding birds, reptiles, amphibians, pollinating insects, and beetles responded to repeated fuel reduction treatments in upland hardwood forests. 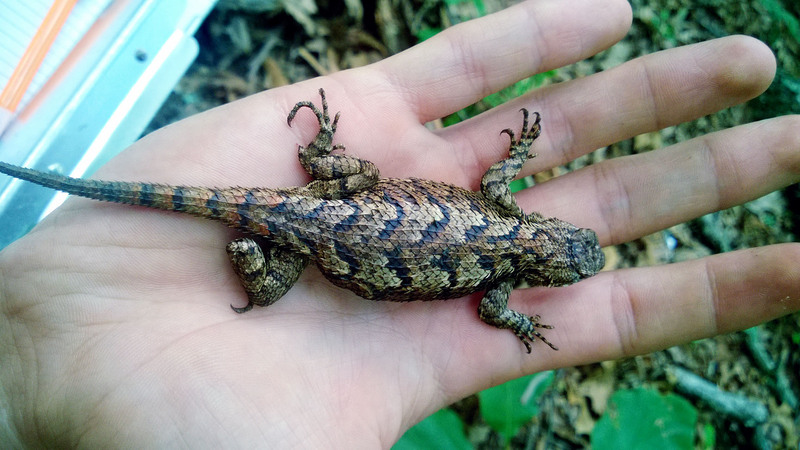 In upland hardwood forests of North Carolina, breeding bird abundance and richness and lizard abundance was much higher in areas treated with both mechanical fuel reduction and prescribed fire. The results build on the Fire and Fire Surrogate study, which began in 2000 as an integrated national network investigating fuel reduction treatments and their impact on vegetation, wildlife, and fuels. The current study focused on how forest structure and wildlife responded to a fourth prescribed fire and a second mechanical fuel reduction treatment. Initial high-severity burns in the combined fire and mechanical fuel reduction plots killed most trees, creating an open canopy with dense shrubs. In contrast, repeated low-intensity prescribed burns with no mechanical fuel reduction killed a few trees over time, increasing structural diversity. After the prescribed fires, pollinating insect abundance was higher in both burn treatments, while amphibian and beetle abundance and diversity was similar across treatments. In general, wildlife response to repeated, low intensity burns was negligible. Different responses among species highlight the importance of including multiple taxa when assessing effects of forest disturbances on wildlife and give perspective on how forest health may vary depending on target taxa.